Unfortunately, when a customer clicks on a link to a CreateSpace eStore and is redirected to Amazon, authors will earn Amazon.com royalties (not eStore royalties). Since Amazon offers all of the features listed above, this will improve the customer shopping experience. However, these features cost more (on average) compared to CreateSpace’s simplified eStore setup, so authors will no longer earn eStore royalties—but see my note below about improved Amazon.com royalties for the next 6 months. Some customers who would have visited your eStore, but who would not made a purchase through CreateSpace (because they didn’t qualify for free shipping, had to setup a new account with CreateSpace, or didn’t trust CreateSpace like they trust Amazon), might now make a purchase from Amazon. The redirection might help a little with a higher percentage of sales. Some customers who would have purchased one book from your eStore might buy a few of your books on Amazon (because your Amazon page features your author page, or because your other books show up on your customers-also-bought list). When a customer buys your book from Amazon.com after being redirected from your eStore, your Amazon.com sales rank will improve, whereas eStore sales had no effect on sales rank. When a customer buys your book from Amazon.com after being redirected from your eStore, the customer’s review will be a Verified Purchase (except for the rare customer who chooses not to let this designation show), whereas reviews from eStore sales were unverified. Although the new program goes into effect on October 31, 2017, CreateSpace will be adjusting your Amazon.com royalty for all Amazon.com sales made between November 1, 2017 and April 30, 2018. CreateSpace is calculating what percentage of your sales (for each book) were made through your eStore and through Amazon.com over the past 12 months, and is using that to determine your adjusted royalty for the next 6 months. So if you drive just as much traffic to your eStore over the next 6 months as you did over the last 12 months, you should earn (on average) about the same royalty as usual until May 1, 2018, at which time your Amazon.com royalty will revert back to normal. Most authors sell very few books, if any, through their CreateSpace eStores: Those authors are virtually unaffected by this change. However, there are a few entrepreneurial authors who are fairly successful at driving traffic to their CreateSpace eStores. If you usually get a significant percentage of sales from your CreateSpace eStore, you may wish to consider getting other options into place by May 1, 2018. Following are a few suggestions. Accept payments directly (perhaps through PayPal). Either drop ship from CreateSpace (ordering author copies sent directly to customers, although this process isn’t ideal), or order author copies in bulk and then mail to customers directly (you wind up paying more for shipping/packing this way, but you gain the ability to include a bookmark, business card, or thank-you note and you get to inspect the quality of the book firsthand). Setup a website to replace your eStore. It’s very easy to setup a website that processes payments, though it comes at a cost. Then ship copies via one of the methods mentioned in the previous bullet point. Use Amazon Associates. Change all of your current links to your eStore to Amazon Associates links to Amazon.com. This way, you can earn a commission on all of the traffic that your drive to Amazon. In fact, you earn a commission on anything that the customer buys (within a set time period), so if the customer buys another book instead, you earn a commission for that—or if the customer buys a Kindle Fire HD, you earn a commission on that (which is even better). Consider using an alternative print-on-demand service that offers a storefront, such as BookBaby’s BookShop or Lulu. 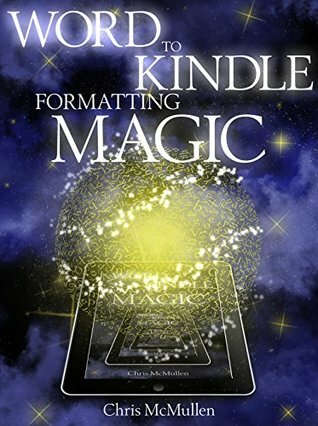 For most authors, I recommend CreateSpace for Amazon sales, but if you can drive significant traffic to a smaller storefront, it may be worth exploring other options. Some print-on-demand services may let you continue to use CreateSpace for Amazon, while supplementing by using their storefront for traffic that you can generate (however, you must check on this point, as some publishing services may not allow it). Thank you for sharing this vital information. Glad I haven’t finished the process of getting “Mending Fences” in print form yet. Thank you, and that’s a great tip: Every author should have an Author Central page (it’s a great landing page for links). When KDP introduced the paperback option, there was much speculation that it would replace CreateSpace. It seems inefficient to have two pod publishing services, and to have separate ebook and print platforms. But presently, CreateSpace has a few advantages. I hope CreateSpace stays. If not, I at least hope to see KDP’s paperback option improve, like expanding the few missing features. Yes, I agree. I suspect we’ll all have to migrate across eventually, but I am in no hurry at all. Exactly. Why do they even come up with these companion companies (the CreateSpace e-store) if eventually, they wind up dismantling it and subsequently, we as authors are inconvenienced and have to figure out what to do next. CreateSpace is still there, just the estore option is redirecting to Amazon. We can still publish through CreateSpace, we can still sell our books directly through Amazon via CreateSpace (the estore isn’t involved in that), and they still offer Expanded Distribution. CreateSpace was a growing print on demand service when Amazon noticed and bought it over a decade ago. It has survived since then. But with KDP offering paperbacks and now the estore redirecting to Amazon, it does seem possible for KDP and CreateSpace to merge. We should prepare for the possibility. It seems that not much would change. If it happens, it will be nice to be able to order author copies and for KDP to match CreateSpace’s expanded distribution. If KDP doesn’t do that, more authors would look to Ingram Spark to help with at least part of their distribution. So, now we authors have to pay more when we order our copies, is that right? No. If you publish with CreateSpace, you can still order discounted author copies. The only change is when customers click on a link that would ordinarily take them to the CreateSpace estore. Gotcha. Thanks for the clarification. I just started using CreateSpace this year and I’m not all that excited about Ingram Spark although I did do some research on them as well. But I guess the one consistent thing we can count on is that they don’t usually ask us, do they? I’ve used CreateSpace since 2007. There have only been a few changes, and they were almost all positive: They originally charged $39 for a pro plan, and now we get the same benefits for free. Then they charged $25 for expanded distribution, and now that is free, too. They added a matte cover option (before that, it was gloss only). They added automatic distribution in Canada, paying Amazon.com royalties (before that, it was through expanded distribution). These are all great improvements. All of these changes came from author feedback. The recent change regarding the estore is the result of both author and customer feedback. Amazon is very customer oriented. Even KDP has shown improvements based on author feedback: That’s why they now offer preorders and advertising. I love CreateSpace, even with this change. Ingram Spark has higher setup fees, and it takes effective offline marketing to make their potential benefits offset the higher costs. I stand corrected. I guess I’m a bit discombobulated because I just started using them, after going through another avenue with my first book. I do believe that this particular change caught many authors off guard. In a way, it seems like there could have been more of a heads up about what is going to happen. But since they are paying higher Amazon.com royalties for the next 6 months to authors who have sold books through the estore in the past year, they are giving authors who relied on the estore 6 months to find an alternative. I expect that at least 99% of authors are unaffected, so perhaps they didn’t want to draw unnecessary attention to the change. -sigh- I did some research on IngramSpark as well as they have a presence here in Australia. To have your book printed by IngramSpark, you have to be a ‘business’ or at least have an ABN. Plus pay $53 AUD up front for their distribution service…even if you don’t actually want to use it. As we say here in Australia – ‘Not happy Jan’. There used to be a small publisher based in Australia who regularly participated on the CreateSpace forum and offered good advice. You might see whether lipmag is still active on that forum, or use the search feature on the CreateSpace community forum to look for posts regarding publishing in Australia. I remember reading discussion there about publishing from Australia in the past, both with CreateSpace and Ingram Spark. Have you checked out Lulu? I prefer it over CreateSpace, personally. You know, it would have been really nice for Createspace to have contacted its members. I’ve checked my spam and everything – nothing received. Hmm. I received an email from CreateSpace, and then found a shorter version of the same message on their website (but at the top of the community forum). My email listed the adjusted royalties for two of my books. It’s odd that they haven’t contacted all authors. That could explain it. If you’ve had significant estore sales in the last 12 months, you should have received an email. You can check your reports to see if you’ve sold estore copies since November of 2016. I received nothing from Createspace either. I heard about the change from my publisher. You’d think they’d at least have a prominent notice on their website. I believe I have never sold a book directly through CreateSpace, so I doubt it will affect me much, but I was relieved to see the comment by relationspdbeverly above, because I was wondering the same thing. I should have made that more clear in my post. Fortunately, it came up in the comments. I received nothing about this from CS, and I have 3 POD books on CreateSpace. It sounds as if we don’t have to reformat or republish our paperbacks elsewhere (yet…), though we will earn less per sale. I HATE AMAZON. I really do. As if they need more profits…. and they have to take the cash right out of indie authors’ pockets. Despicable. Thanks for posting and clarifying, Chris. Reblogged. If you drive your own traffic to your estore by linking to your CreateSpace estore from your website, email, etc., that’s really the only way to be affected by this change. If most of your sales come from Amazon’s traffic (which is the case for most authors), you really shouldn’t notice a difference. Check out the news regarding the CreateSpace store as featured in this post from Chris McMullen’s blog. You’re welcome. If you sign up for Amazon Associates, you can make special links (affiliate links) to your book page or author page at Amazon. Put these links on your website. If a customer clicks on the link, you earn a commission for the sales that you drive there. The idea is this: Authors who had successfully driven sales to their CreateSpace estores might consider replacing the links to their estores with Amazon Associates links. This may be out of your realm, but as graphic designer who does loads of ebook and CS covers, any idea how I find info about cover design requirements,etc. I literally spend 20min searching for anything recent. I’m going to keep looking, but never hurts to ask! 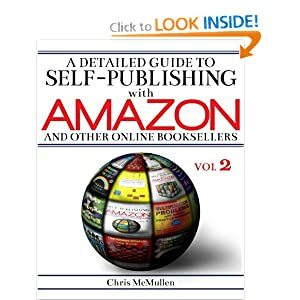 Author friends, if you publish on CreateSpace, please read this informative post from Chris McMullen. Drats, that’s one of the reasons I was going to use CreateSpace, in addition to Ingram Sparks. But, I still think it’s probably worth it. Surprised I have not heard of this before. Would have expected an e-mail from CS as I have several books with them. Thank you for sharing and drawing our attention to the change. They probably didn’t email authors unless they had estore sales in the past year. I received an email from CreateSpace, but I had actually sold over 100 copies through my estore. They did post an announcement on their website (for example, check the community forum). Most authors get all or most of their sales through Amazon, not their estore, so most authors aren’t affected. With that in mind, CreateSpace probably didn’t want to email everyone and draw unnecessary attention to it. I can already see authors thinking (incorrectly) that this refers to Amazon sales, Kindle sales, or expanded distribution (but none of that is affected). If you made estore sales in the past, you could use Lulu’s storefront instead, for example. Thank you Chris for responding. I had not thought it related to Amazon sales and though my books are in the estore I have not actually sold any through them. As you indicate, I presumed this was why I had not received notification. Nevertheless, I am grateful to you for highlighting the change. Regards and hope you do not find your sales too adversely affected. Chris Mullen informs us about CreateSpace closing their e-store. Thank you very much for sharing the news! I’m a rare example of someone who needs to sell through the e-Store instead of through Amazon. 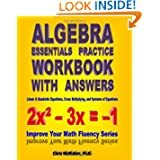 My product is a workbook and online teaching videos sold together as a package, and neither of the remaining options (Amazon nor author copies via Createspace) work well for me. I’m also an example of an author who was not contacted by CreateSpace about this change, even though I sold over 100 copies since September 1. I found out through a potential customer informing me the link doesn’t work. Considering how much time I spent researching this just last June, I’m feeling pretty frustrated and stuck. I selected Createspace because I needed a controlled e-store experience for my product, which launched Sep 1. Not sure what to do now. If you need an alternative for a video on dvd, try asking on the CreateSpace community forum (and try to ignore any spam you may find there). Thanks for your reply, Chris. The videos are password protected on Vimeo and streamed only on my site. The customer uses the invoice number from the workbook purchase to access a members-only area of my site for viewing the videos. 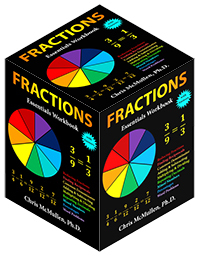 I actually need to control the sales of the workbook to a small niche of potential customers, and have them only go through my site to purchase. It would take too much time here to explain why Amazon is a bad fit for my purposes and why CreateSpace e-store was ideal. Not only did they fail to send an email, but they had the ability to generate a secure message to all their clients through the dashboard… but they didn’t. That’s mind-boggling to me. Thanks again for posting this, and best of luck to you! Big changes ahead for those who use CreateSpace…. My problem with Amazon, is that their terms are greedy, and the agreement is a “gotcha” agreement (it ties you up with them for two months after cancelling your agreement, so if your title is hot, they get it, not you). Two things I’m advising my customers, is that they no longer have to trust the sales figures of CS or Amazon, and they do not have to wait two months for their money. The trade off is that they have to carry (pay for in advance) inventory. The customer still pays for shipping, same as before. Given the fact that we have wordpress, and attending plugins that handle the IT part of book selling logistics, as a brand, directing people to your own site, instead of giving Amazon your money and traffic, is a win win. Value-add the hell out of it! Promote book signings, speaking events, whatever. Getting customers onto your site instead of Amazon is much better for you. Ebooks are pure profit. If you have to rely on the chance of an Amazon customer browsing Amazon to purchase your book, rather than your book being good enough to attract buyers, then its all really moot anyway. Good product creates inelastic demand. That means they’ll come to you, once they are aware of your work’s existence. From what I can see, we are no longer able to run our own promotions as we cannot use coupon codes in Amazon’s checkout process. Does anyone know any more information about this? Do you know how Createspace disseminated this information to their publishers? We never received an email alerting us with a end date so that we could prepare. Additionally, around the time this article was published, we were creating a blow-in for our books that would direct traffic to our estore with a discount code for our other book. That discount code is now useless and we will be dealing with clients receiving that card for quite some time. I received an email from CreateSpace before writing this article. (I had sold over 100 books through my estore in the past 12 months, though most of my traffic comes from Amazon.) Make sure the email you have on file with CreateSpace is up-to-date, then check your spam filter, as it’s not uncommon for CreateSpace messages to disappear there. If you visit the CreateSpace website, click the Community link, and click Show Details next to the announcement for the CreateSpace estore update, you will see that if you have had any estore sales in the past 12 months, then like me you should receive an email. If not, you should contact CreateSpace. The tragic part is the loss of coupons. It made it convenient for me as an author to offer a “bulk” order coupon for stores that want several copies of my book 😦 Any ideas for how coupons can still be offered? Any idea of how we can still offer coupons? I loved using the CS store for that … so bookstores could apply the coupon as if it was a bulk discount. Most authors struggle to get bookstore sales, and those who succeed often order author copies, which allow them to negotiate discounts directly. 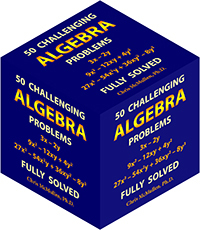 However, if you can get significant bookstore sales through online discounts, you should look into discussions on the CreateSpace community forum regarding how to use CreateSpace for Amazon sales and Ingram Spark for expanded distribution (find one of the discussions explaining how to get this combination right), but Ingram Spark has setup costs, which means you need enough sales to make it worthwhile. Or seek another printer offering direct sales with discounts (maybe Lulu, though the cost may be higher). Personally, I would try selling author copies directly, unless I could get large enough sales to seek an online option. Good luck.